Its been several weeks since the Zimmerman verdict, a “not guilty” verdict that divided a lot of people, but awakened many more. The details of a quest to pass “Trayvon’s Law” are laid out in a feature article that can be read HERE. The call to action is led by the Dream Defenders (who are currently “sitting in” at the State’s Capital building in Florida) and the NAACP. The legislation seeks to put an end to the now infamous Stand Your Ground laws, and other issues that were highlighted in wake of the taking of Trayvon Martin’s life. Dwyane Wade, who has over six million followers combined on his Twitter and Instagram accounts, has not been shy about lending his voice and support to the “Justice for Trayvon” movement, often posting photos and messages in support. 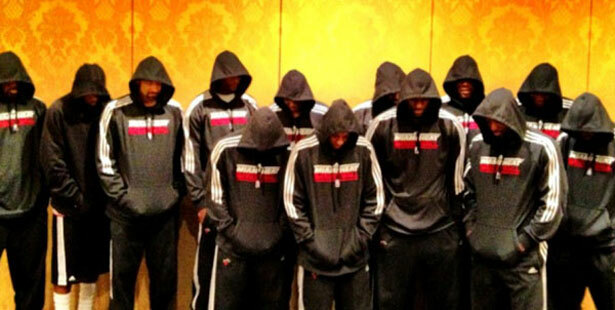 Wade and his Miami Heat teammates took this photo in 2012 as a sign of solidarity and to help bring more national attention to Martin’s untimely death. 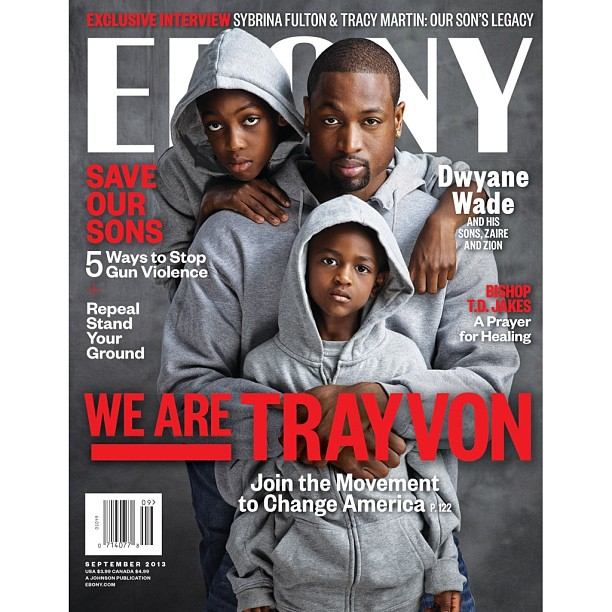 Trayvon’s parents, Sybrina Fulton and Tracy Martin, and his brother Jahvaris Fulton grace one of the four covers, as well as Spike Lee and his son Jackson, and Boris Kodjoe and his son Nicolas.